HMSI today announced that the company is planning to launch a new model in India. The upcoming model is going to be CB 125 F as the patent image have been leaked. The new CB 125 F design is completely different from the old model and the design of the headlamp resembles the old model, but it is much better. 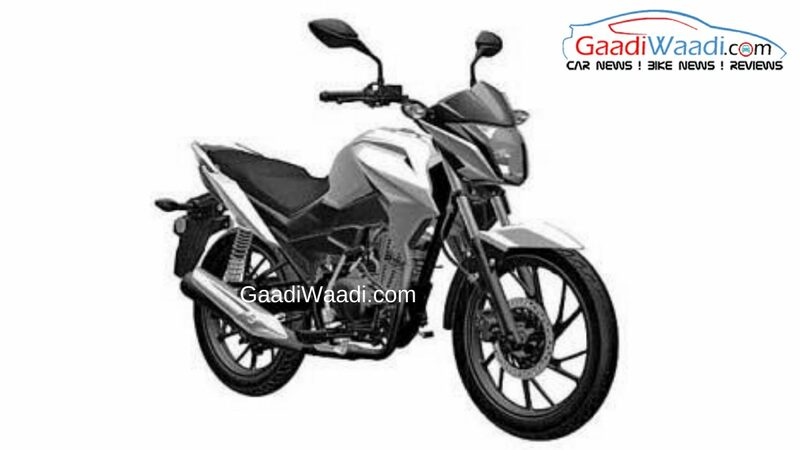 The visor and mud guard design is also completely new and design of the fuel tank is also new while the seat looks wider and lower than the previous model. The exhaust is slimmer and stylish than the old model and new version has also given split grab rails. Like all the new Honda models, CB 125 F likely to come with LED headlamp. Honda CB 125 F is powered by same BS4 engine from Shine. The 125 cc single cylinder air-cooled engine produces 10 bhp of power at 7500 rpm and 11 nm of torque at 5500 rpm. This engine is mated to a 4 speed gearbox and the performance of CB 125 F will be similar to CB Shine. It’s a Honda product, so we can expect mileage of 60-65 kmpl. Honda CB 125 F will compete against Bajaj Discover 125 and Hero Glamour and it will sit above the Honda CB Shine SP. Apart from the new CB 125 F, Honda will launch upgraded models of 18 existing products in this fiscal. With the updates and new products, Honda is likely to post double digit growth in FY 2018-2019. The Japanese manufacturer will invest Rs. 800 crore to further expand the brand and continue the momentum from previous years. HMSI is focusing on expanding its dealerships and by the end of this fiscal year they want to reach 6000 touch points across the country. The pre-owned two wheeler business will also expand to 250 touch points. Honda will introduce “Honda Joy Club” – a unique customer loyalty program later this year. The Japanese manufacturer is also working towards BSVI emission norms. So the company will be ready to take the jump from BSIV by 2020.